Is fitted with a no-volt release switch that prevents the unit from starting unintentionally when locked on. The switch must be consciously reset before power is delivered. Soft start reduces movement of the tool on start up increasing user control and there is a high efficiency motor that improves performance, even in demanding applications. The dust ejection system removes the majority of debris from the air which passes over the motor, preventing abrasion and tracking. It has a new guard design that allows guard fitment, adjustment or removal without the use of tools, for increased flexibility. A side positioned spindle lock gives greater protection to button when using in confined spaces. There is also an anti vibration side handle to improve user comfort, anti lock flange that prevents flanges from permanently locking up and locking the disc on and fully leaded stator windings for increased motor durability. 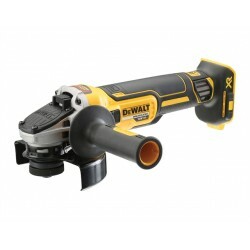 The Dewalt DCG412N 125mm XR Premium Angle Grinder 18 Volt Bare UnitHas a powerful fan cooled motor a.. 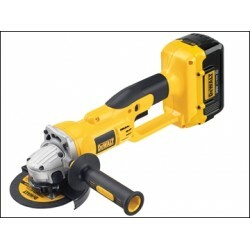 The Dewalt DC415M2 125mm Grinder Kit Box 36 Volt 2 X 4.0ah Li-ionIs fitted with a powerful fan coole.. 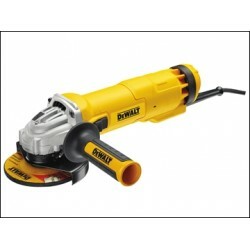 The Dewalt DCG412M2 125mm XR Premium Angle Grinder 18 Volt 2 X 4.0ah Li-ion Has a powerful fan coole.. 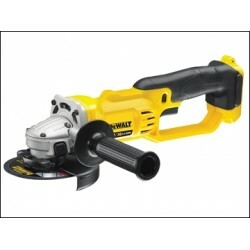 The Dewalt DCG414N Flexvolt XR Grinder 54 Volt Bare Unit Has a brushless motor for improved performa.. The Dewalt DWE4206 Mini Grinder 115mm 1010 Watt 110v or 240vIs fitted with a no-volt release switch .. 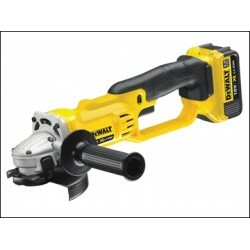 The Dewalt DWE4206K 115mm Mini Grinder With Kitbox 1010 Watt 110v or 240vIs fitted with a no-volt re.. 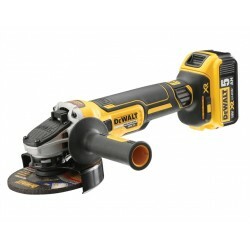 The Dewalt DCG405N XR Brushless 125mm Grinder 18 VoltHas a powerful fan cooled motor with a mesh cov.. 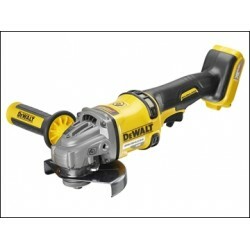 The Dewalt DCG405FN Brushless Flat Head Grinder 125mm 18V Bare UnitHas a flat head design for access.. 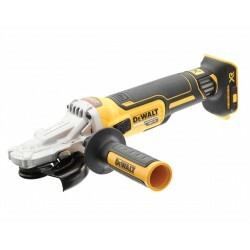 The Dewalt DCG405P2 XR Brushless Grinder 18vHas a powerful fan cooled motor with a mesh cover ..